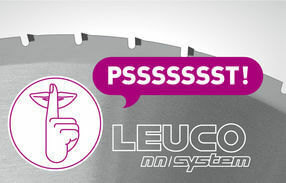 LEUCO nn-System DP flex main saw blade in detail: cutting width only 2.5 mm, extremely small chip gullets! The hollow back geometry provides precise cutting in all common wood-based panels, aslo many - abrasive - composite materials, as well as precise longitudinal and cross cuts in solid wood. 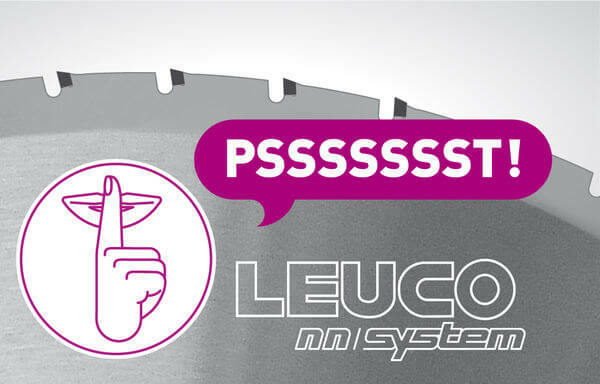 LEUCO nn-System DP flex saw blades are extremely quiet when idling and during operation! With a noise level of just around 70 dB(A) when idling, the wearing of a hearing protection is virtually a thing of the past. Users profit from the LEUCO nn-System DP flex saw blades on many types of machines such as table saws and chop saws, vertical panel sizing saws, CNCs and through-feed machines. At the LIGNA 2015 LEUCO introduced the enhanced program of „LEUCO nn-System“ saw blades for a wide range of different types of saw machines. The design (hollow back geometry and tool body design) guarantees universal application in almost all conventional wood-based panels as well as solid woods and is characterized by an excellent cutting quality. The low cutting pressure caused by this tooth geometry allows almost rebound-free working. 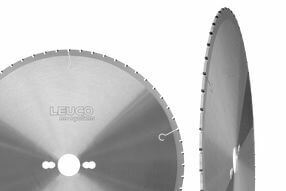 Thanks to the diamond tipping (LEUCO DIAMAX) the saw blade gains extremley long edge lives. 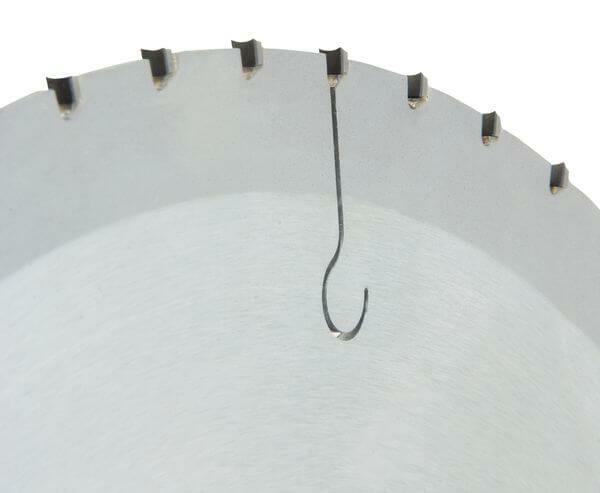 The saw blade can be resharpened up to two times. Matching the main saw blades we also offer LEUCO nn-System scoring saw blades with the tooth geometry conical / alternate top bevel and the diameters 120 mm and 125 mm, also with small gullets.